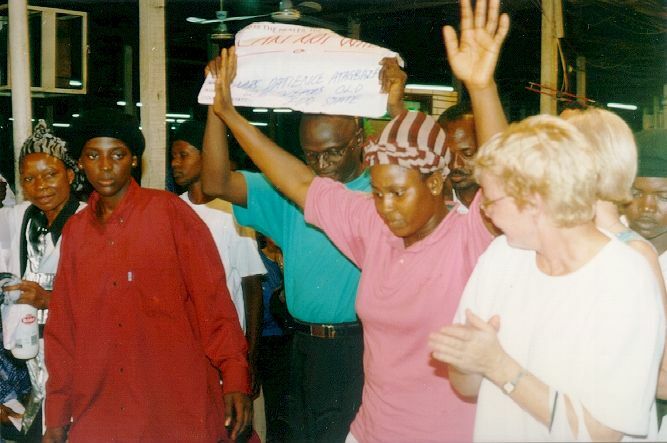 The sick line up to receive ministry by the prophet TB Joshua. 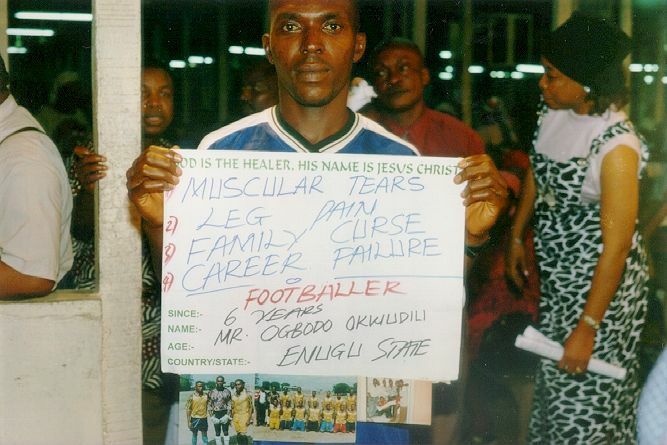 Besides physical sicknesses, people also wants deliverance from failures, curses, etc. The work of the devil leads to all kinds of destructions, but Jesus has come to set us free.. This photo is a typical example of the placards the person needs to fill in. Sportsmen usually have photo's attached as in this photo. Here the man of God ministers to a football player. He loves to minister to sportsman and woman. 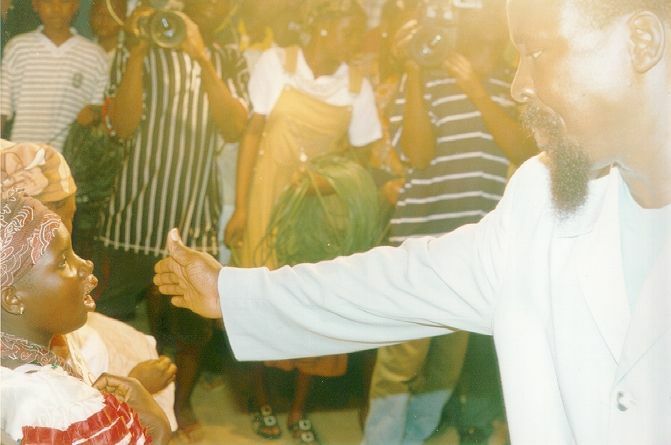 The man of God stretch forth his hand to heal this girl's mouth. 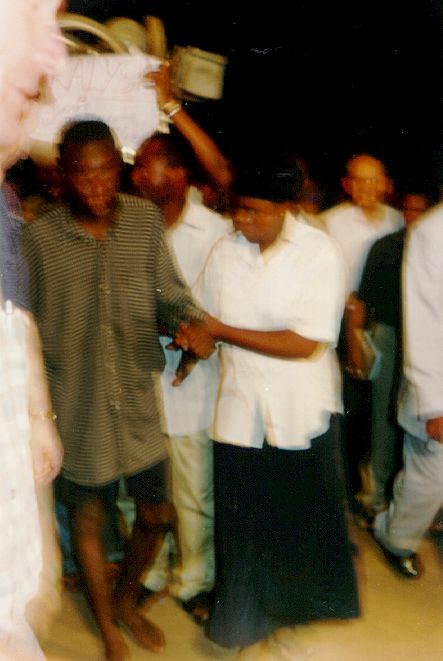 He seldom touches the people during ministry. 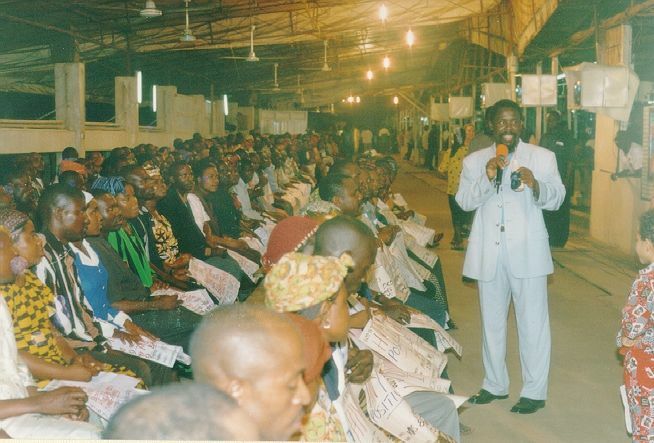 Here the man of God is first preaching to the HIV+/AIDS victims before he ministered to them individually. Once this is done, he would say very pertinently "You are free" - and then they are healed! 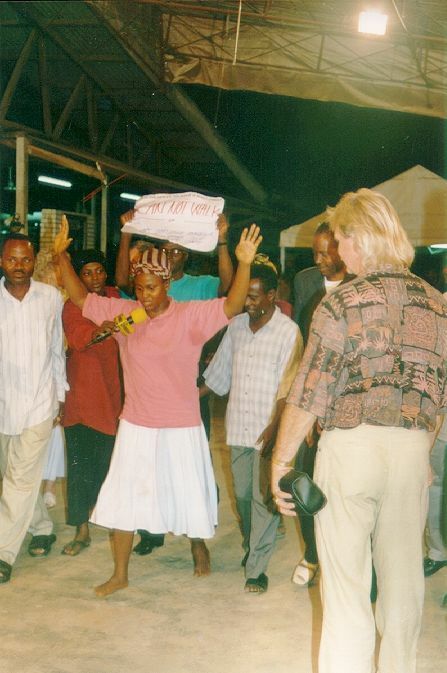 People with AIDS/HIV positive lining up for healing. Praise God, there is a solution for AIDS! 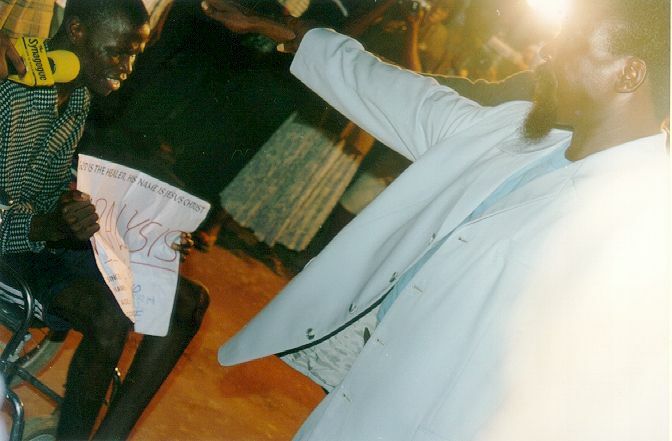 A young woman testifying of her healing from HIV+. Her latest test clearly indicates: NEGATIVE (right). 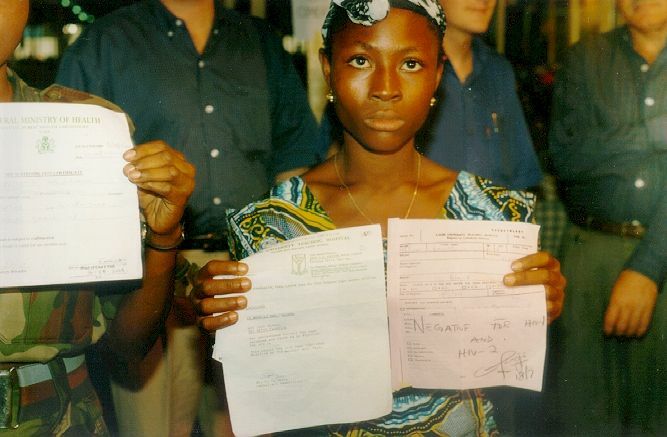 She is now holding both certificates as a testimony of God's grace. 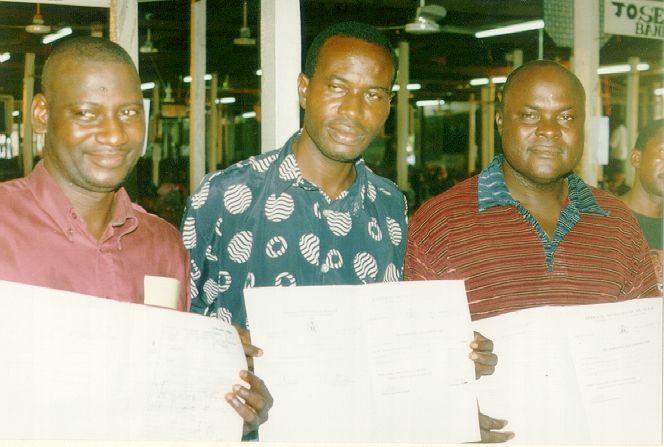 More people testify: They were healed from AIDS with both the "before" and "after" certificates to prove. This woman that could not walk. She was drove in on the back seat of a car. Now she is walking and praising God. She will be able to walk out of the church on her own. Praise God! 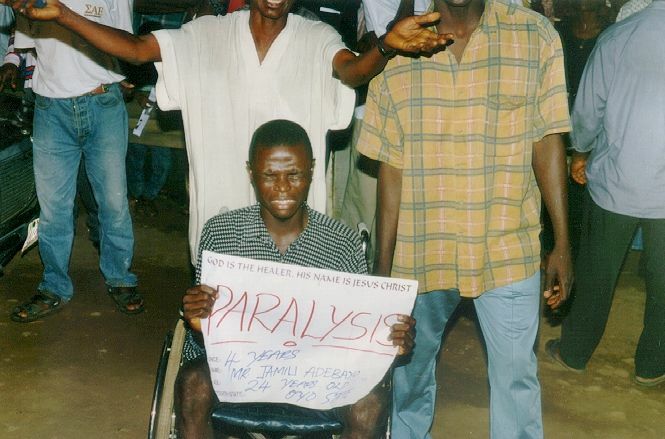 This man is sitting in a wheelchair unable to walk for 4 years. His friends and family are crying out: "Please man of God, help him. Please man of God". This really touched me deeply. The man of God stretches forth his right hand as he ministers to the man. The man stood up and started to walk slowly. There was great rejoicing! 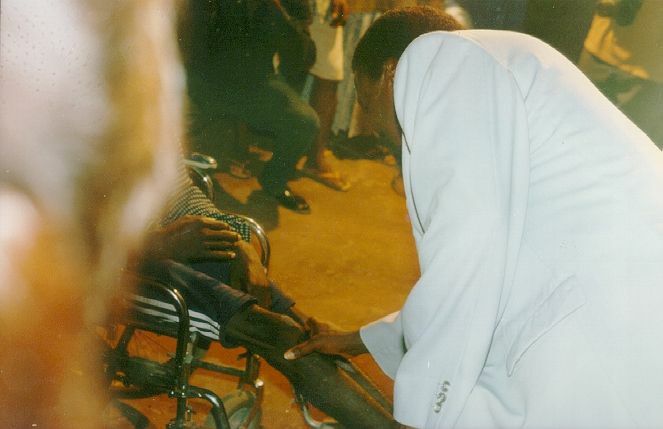 They picked up his wheelchair as a testimony of God's power to heal. 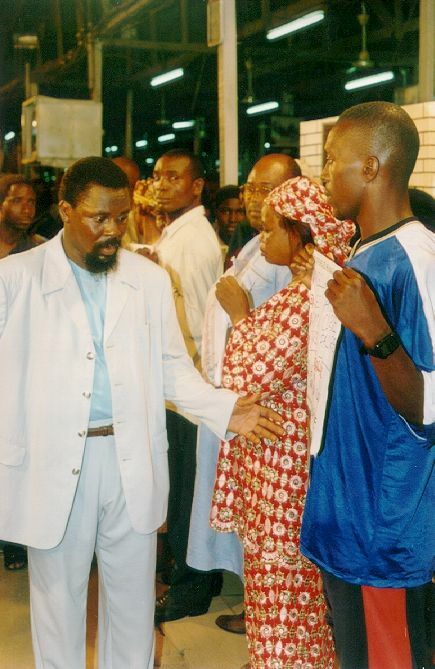 The man of God said: "Please, give the man a change. Just look how thin his legs are. Give him something to eat that he can be strong."